Social Media: 6 Reasons Why Every Restaurants Needs It. Instagram, Facebook, Twitter, and Pinterest have all marked their place in the business world, I'm sure I don't have to explain that. However, many marketers and business owners make the mistake of underestimating the power of social media marketing. There are certain niches where it may make more sense to use social media within a marketing strategy, like retail and art. However, another niche that benefits massively from the online marketing world are restaurants. In fact, 80% of consumers look online before going to a restaurant for the first time and 88% will go the same day they did the search. This means that people are very influenced by online reviews and the information they find through restaurant websites and social channels. If you are not sold yet, keep reading for 6 more reasons why social media should be part of every restaurant marketing strategy. You may have heard that Google and directory reviews are a great way to receive insight from your customers. The same goes for social media as many consumers are posting pictures and creating reviews in their captions about their experience in restaurants. The best part is that you don't even have to ask for a review or give something in return. It's basically ingrained in the social media culture to post a picture of food and leave a review. You don't have to be a food blogger or influencer anymore to share your opinion. Furthermore, through these reviews and posts on social media, you get a better idea of your customer's wants and needs. So, not only can you improve from first person experiences, you also get an understanding of what your customers expect from a restaurant. For example, social media platforms like Instagram are a great place to get insight on new food and cultural trends in your area. Have you heard of matcha? 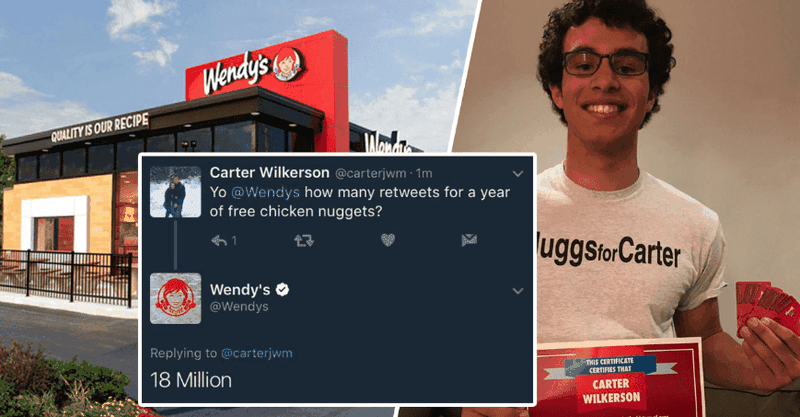 Do you remember that infamous moment in history when one of Wendy's (the fast food restaurant) customers got the most retweets ever seen before? It definitely looked good on the fast food joint; They even donated money to a charity! 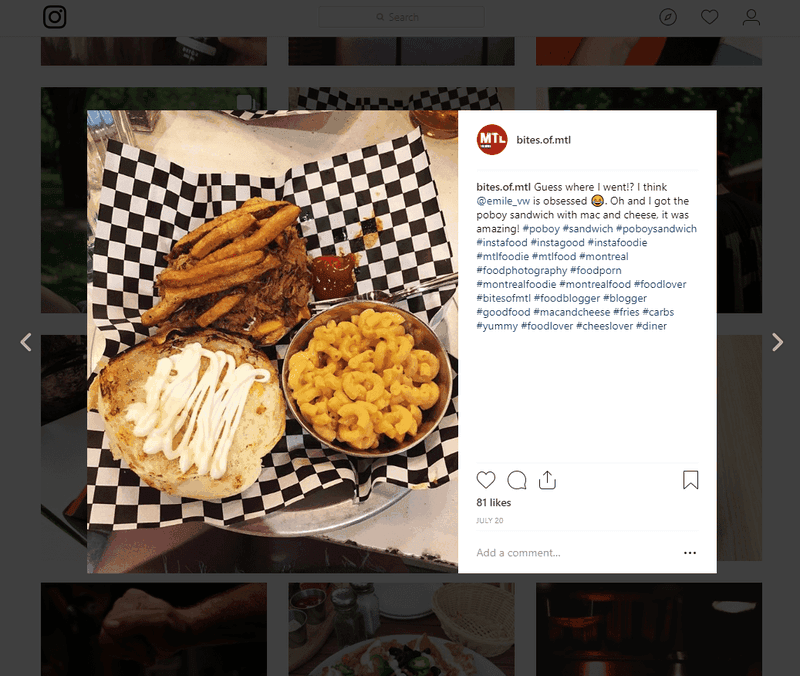 Being on social media is great for restaurants because it is a way to increase both your audience and visibility through intriguing posts, contests, videos, and more. Furthermore, you can out to influencers and food bloggers that have the same audience as yours. Using social media for restaurants is a great because EVERYBODY loves food! If your social media presence is strong, you can do collaborations with others and grow your follower base and customers even more. Although social media is not a part of Google's search algorithm, it does have an indirect effect on a business' overall search ranking. You see, some of the biggest factors in Google's algorithm take into account popularity, authority, and traffic. Social media has an influence on all three of these factors, let me show you. 1. Popularity: Communicating with your audience, using proper hashtags, and posting great content builds your overall popularity. 2. Authority: By building your trust with your audience you are also building your authority. So, when you recommend something on your menu, your audience is more likely to buy into it. 3. Traffic: If you do both your social media marketing and SEO strategy properly, you will reach more leads and customers – AKA, more people walking through your restaurant doors. Billboards are VERY expensive and many other sources of media are pricey too. Social media, however, is free and with a small budget you can still put ads that are way more powerful than a billboard. Thus, social media allows restaurants of all types to compete against each other. I recommend that you focus on Pinterest, Facebook, Twitter, Instagram, and Google+ as they are the channels with the most beneficial ad platforms for restaurants. For example, Facebook ads allows you to choose details such as the gender, age, location, and more about your target audience. Imagine trying to contact every single one of your customers to let them know about a new promotion? It doesn't happen, because it's almost impossible. However, with a simple post on your social channels you are reaching all of your audience and more! Not only is it a great way to send out a mass message to your customers, social media is also a great way for you to communicate with people. By liking, commenting, and engaging with your audience you also build a relationship and loyalty with your customers. Thus, people are more willing to support your business and think of your restaurant when looking for a dineing experience. The internet has been made easy to use, so social media is a very approachable way for business ‘un'savvy people to reach their goals. With the many easy features and informative FAQs, almost anyone can navigate social media platforms. Their are also tons of blog posts out there that explain how to use social media for a wicked marketing strategy. Just check out our library! These days, it's hard not to find what you are looking for with the strength of search engines' presence online. I totally agree with this article. To survive and flourish in today’s restaurant market, you need an online marketing strategy. And if you’re looking for an article about Increase Foot Traffic & Online Sales for Restaurants, you must check this one out.